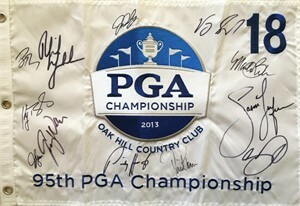 2013 PGA Championship (Oak Hill) embroidered golf pin flag autographed in black marker by winner Jason Dufner plus 11 other winners of this major tournament: Phil Mickelson, Vijay Singh, John Daly, Mark Brooks, Jason Day, Bob Tway, David Toms, Jeff Sluman, Keegan Bradley, Jimmy Walker and Padraig Harrington. 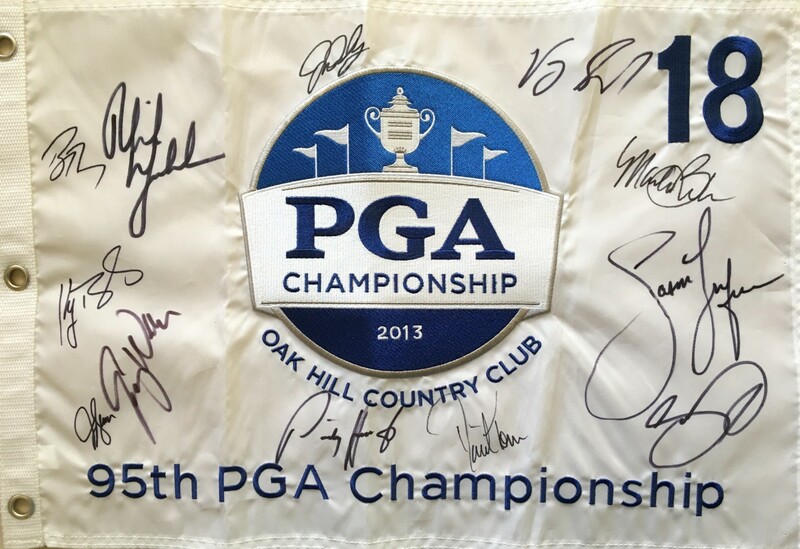 All autographs obtained in person at southern California PGA and Champions Tour events. With certificate of authenticity from AutographsForSale.com. ONLY 3 AVAILABLE FOR SALE.